Maha Ganapati is one among the popular forms of Ganesha. Vallabha Mahaganapati is one among the Sodasa Ganapati forms and is worshiped for various benefits. The deity is surrounded by various gods and goddesses in the four quarters. 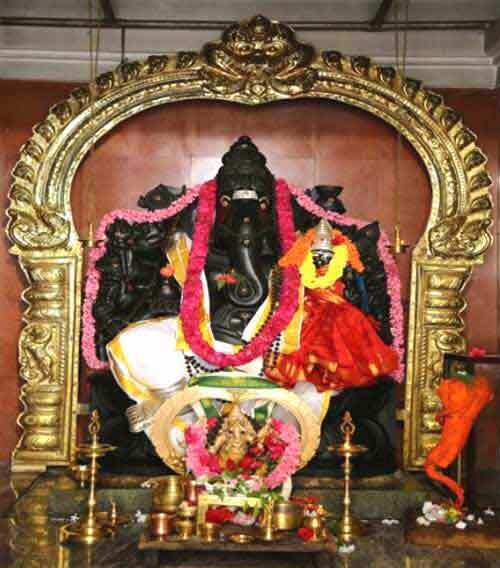 Mahaganapati sits in the middle with his consort Vallabha, immersed in deep meditation. It is believed that in the form of Mahaganapati, Ganesha, helped Shiva destroy the cities of demon Tripurasura. Vallabha, the consort of Mahaganapati, is a personification of his omnipotence (of his unlimited power).